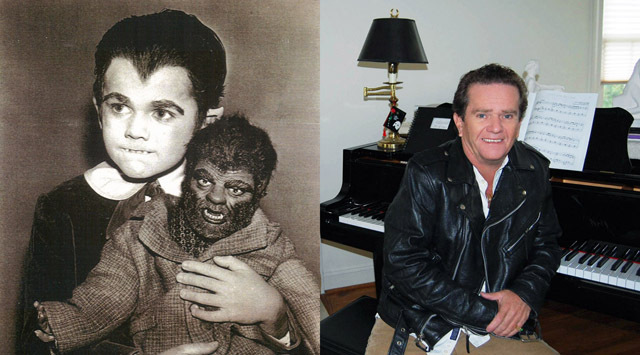 Butch Patrick may be 57 years old now, but he’ll always be Eddie Munster, the only son of Herman and Lily Munster on the mid-1960s television classic “The Munsters.” Like “The Addams Family,” the comedy about a family of loveable but misunderstood monsters ran in network prime time for a mere two seasons (1964 to ’66) but wound up producing 72 episodes of memorable laughs. Stars Fred Gwynne (Herman), Yvonne De Carlo (Lily and Al Lewis (Grandpa) are all gone now, leaving Patrick as something of an unofficial steward and guardian of the “Munsters” legacy. He defends its sanctity and greatness wherever fans of the series gather to “Munster-ize.” And on Halloween, the show will again take center stage with a day-long (10-hour, 20-episode) marathon on the Hallmark Channel. For one magical morning and afternoon, Patrick will again be a pre-teen monster boy with pointy ears, impossibly bushy eyebrows and hair that covers half his forehead in a “V.” The actor is available for interviews to both help promote the Hallmark Channel “Munster” Marathon and wax poetic and nostalgic about a show — and a role — that remains near and dear to his heart.